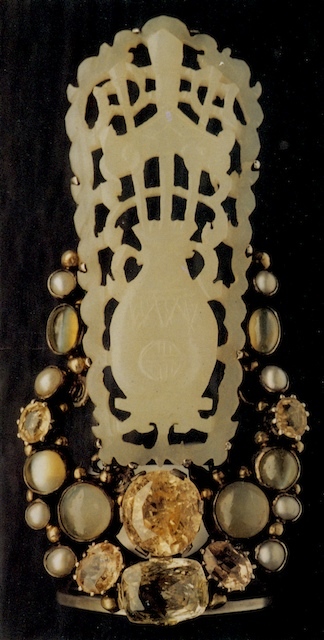 The arts and crafts style held on for an especially long time in England, where tradition is a veritable national pastime. 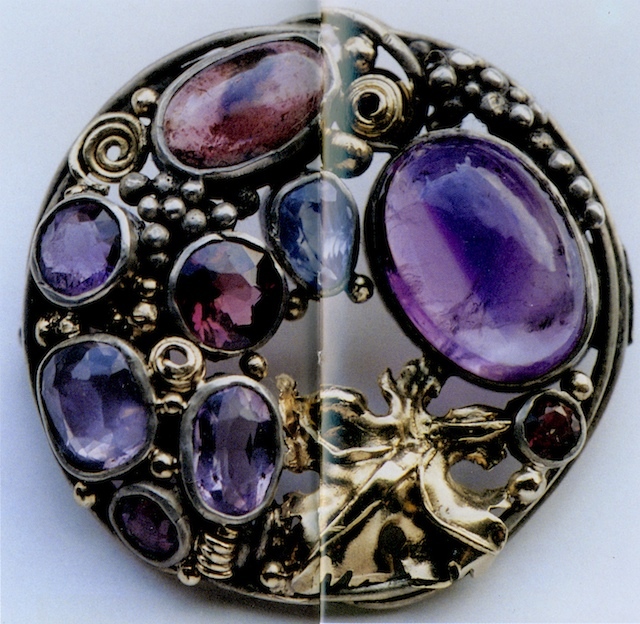 Here Sybil Dunlop (1889 - 1968) designed jewellery in the Arts and Crafts style well into the next generation - into the 1920s, in fact, with great success. 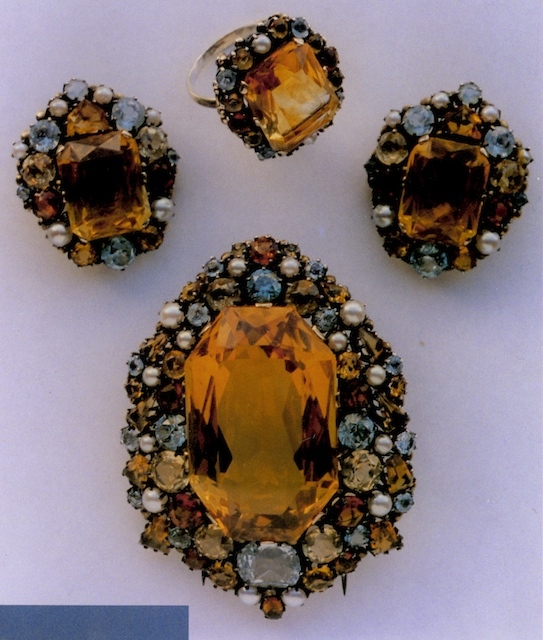 Instead of adhering to the previous preferences for cabochon stones, Dunlop often used faceted stones, but still the metalwork as an important element of her designs. 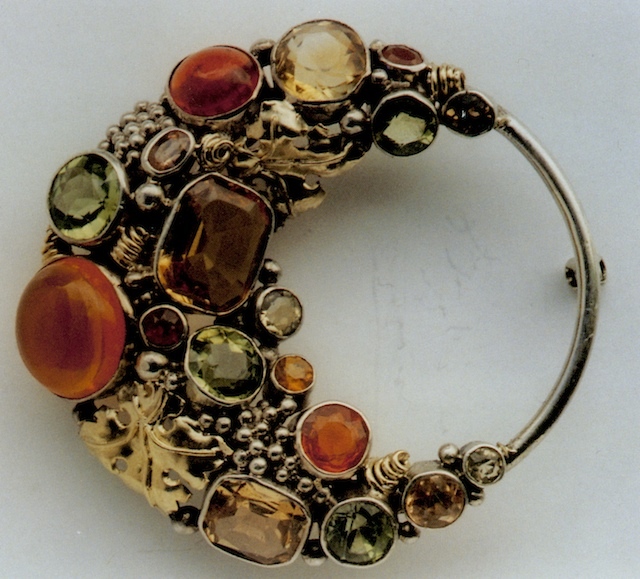 It can be quite difficult to quickly differentiate between the jewellery of Sybil Dunlop and that of Dorrie Nossiter, who worked in England during the 1930s. 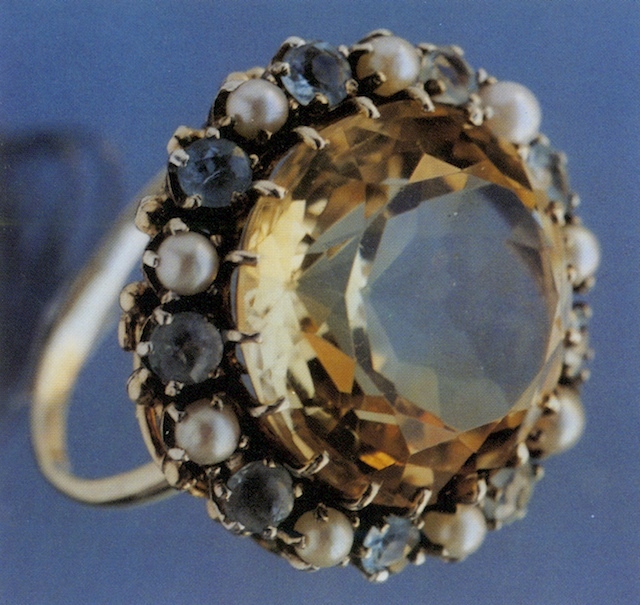 Nossiter seems to have worked primarily with clear, pastel, faceted stones, arranged in tight clusters.